1. Financial Times. World trade records biggest reversal since crisis. February 26, 2016. 2. Financial Times. Exports from China to Brazil collapse as recession deepens. February 25, 2016. 3. The Standard. State think tank predicts slower 6.7pc China growth. March 28, 2016. 4. The New York Times. As Economy Slows, Experts Call on China to Drop Growth Target. March 4, 2016. 5. The Guardian. China's factory output grows for the first time in nine months. April 1, 2016. 6. Sourcing Journal. Vietnam, Bangladesh Enjoy Biggest Share Gains of US Apparel Imports. January 12, 2016. 7. Accord on Fire and Building Safety in Bangladesh. Quarterly Update March 2016. March 9, 2016. 8. Just-Style. Bangladesh Accord cuts ties with four more factories. February 24, 2016. 9. Apparel Resources. 3 firms using unethical practices in DEA, alleges Alliance. February 22,2016. 10. The Daily Star. Tenure of Alliance, Accord won't be extended: Tofail. December 8, 2015. 11. International Labor Rights Forum. Our Voices, Our Safety: Bangladeshi Garment Workers Speak Out. December 14, 2015. 12. Just-Style. 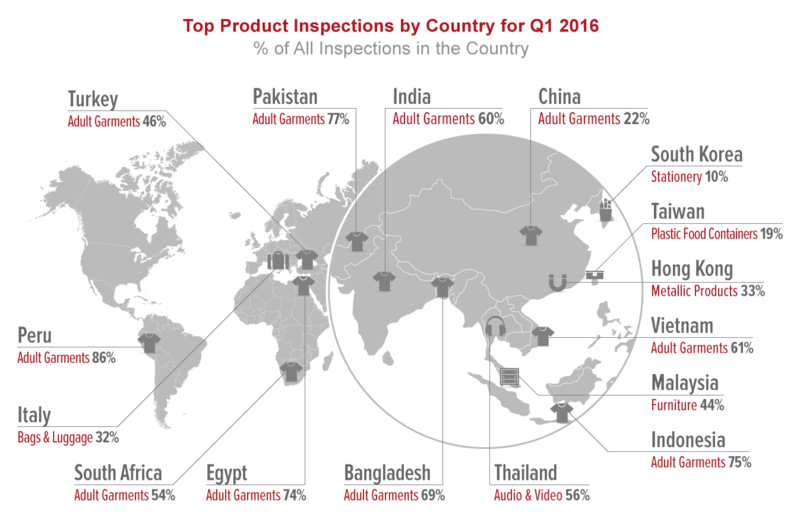 Egypt garment sector eyes ways to boost performance. March 18, 2016. 13. Just-Style. 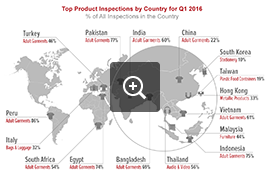 Egypt apparel sector underperforming but ambitious. March 30, 2016. 14. Huffington Post. Syrian Refugee Children Found Working In Factories Supplying H&M And Next. January 2, 2016. 15. Verisk Maplecroft. Modern slavery, migration and traceability rated as top human rights risks for business. February 15,2016. 16. The Guardian. Rip Curl's use of North Korean factories leads to calls for industry transparency. February 22,2016. 17. USA Today. Hoverboards may be seized or recalled due to fire risk. February 20,2016. 18. Manchester Evening News. Next issues product recall on children's clothing after fire safety concerns. January 14, 2016.